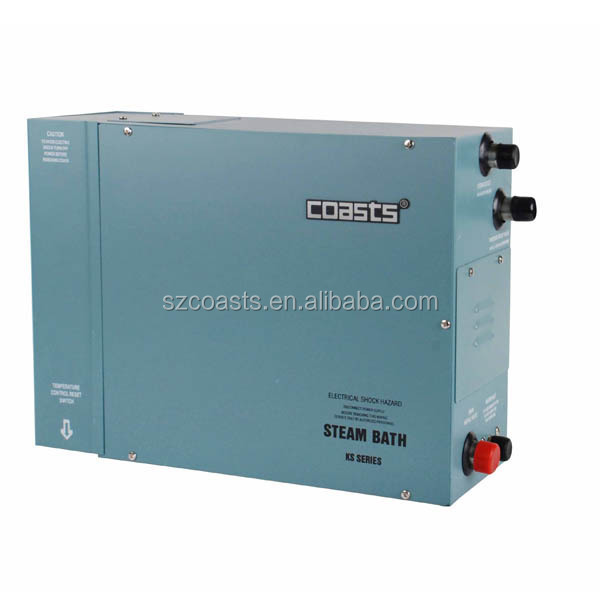 Our Coasts brand steam generator had been sold in market since 1997, with 17 years market testing and our improvement year by year, we had intrusted some agents in France, Turket, Thailand etc. if your fouce on high quality and safty sauna bath enjoyment, Coasts is definitely your best choice. 1. steam generator with different power, 3kw to 24kw,with 220/380v. 2. 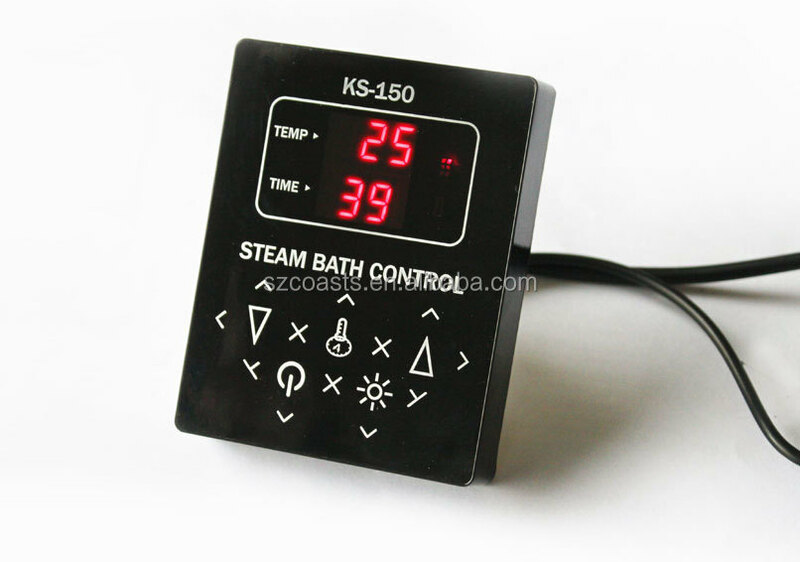 Be used for steam shower room, wet sauna room. 3. The temperature, working time and even steam room light could be controlled digitally. 4. Auto water supplementary system, over-pressure and over-heat protection, and auto drainage system. 5.The segment-heating and self-diagnose function make the heater energy-efficient and easy-operation. 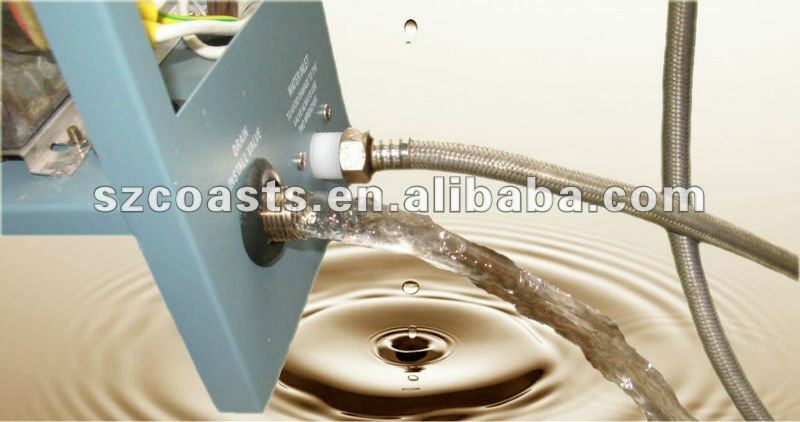 6.With AC adapter, Water level sensor, Safety relief valve and etc. 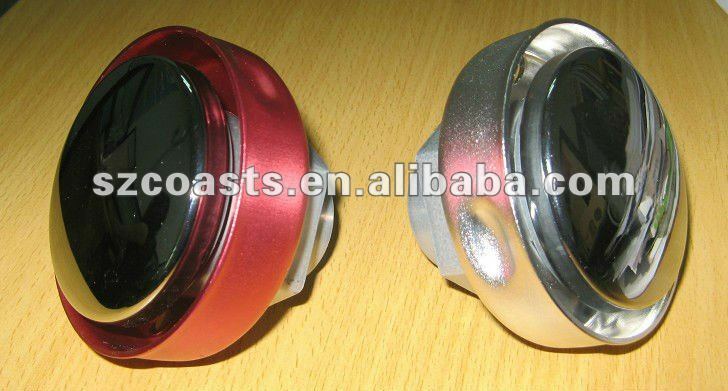 7.Material:aluminum-zinc OR stainless steel, etc. 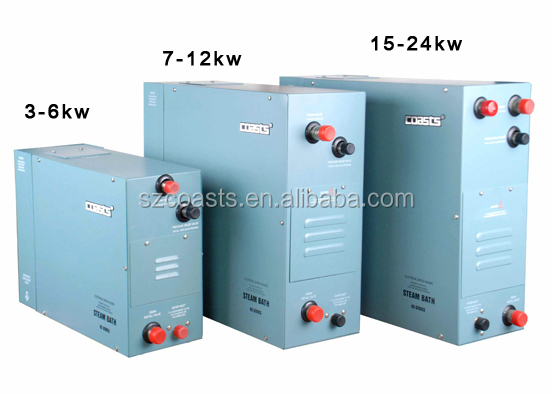 The Standard steam generator is the second generation of our products which covers all power sizes from 4KW to 24KW, 220~240V AC or 380~415V AC. 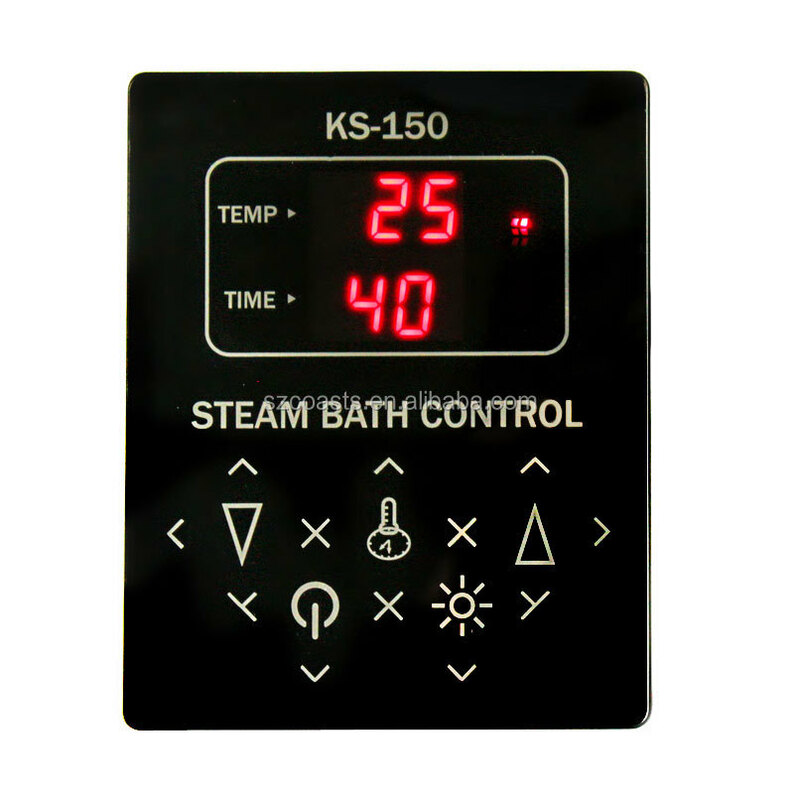 When equiped with KS150 water-proof touch panel , the temperature, working time and even steam room light could be controlled digitally. You could switch between temperature units, and also "Pause" the steam generator from heating when needed without shutting off the whole system. Optional reomote controller could also be selected to let you control the steam generator from distance. Mineral buildup is the main problem affecting steam generator performance and life of heating elements. Non-resolvable particles in water could be removed by adding filter to the water inlet of steam generator, but resolved scale minerals dissolve under high temperature, and then precipitate layers of rocklike deposits inside water tank and on surface of heating elements when water cools down. As a result of water scale build up, it may clog pipes, affecting heat dissipation of elements and eventually damage them. Thus washing and cleaning the steam generator after use is extremely important for hard water area or heavy-duty commercial use. With our unique MOTORTM auto drain system, the inner tank is washed and drained thoroughly by an 8kg powerful pump to eliminate mineral build up, which could significantly extend the life of heating elements and the steam generator as well. Qualified for CE certification of Europe Union and Tests of China Import and Export Commodity Inspection. 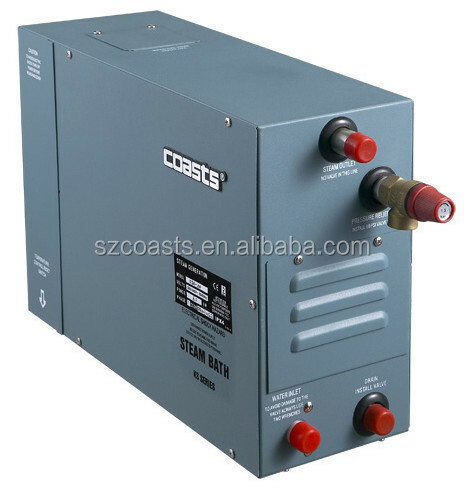 The delicately designed Standard series steam generator is durable and efficient, so it covers most requirements of customers, and selected as the "Best-seller" product. We would recommend it as our "STAR" product to everyone. 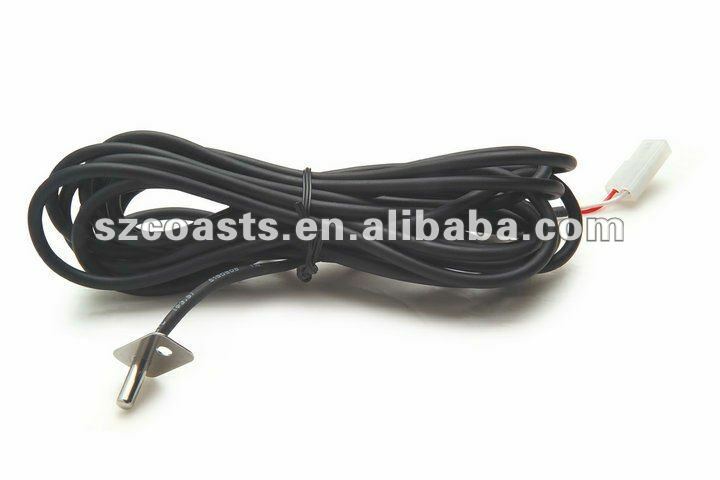 LED indication, pause working and can be connected wtih fan. 1.Standard Export package for long-distant shipment and tough handling. 2. We ship goods by UPS/DHL/FEDEX/TNT/EMS express which takes 3~ 5 days to arrive, or by air cargo which takes about one week to arrive , or by sea which takes about one month to arrive , depending on your actual requirements.